‘Road Rage Lady’ Goes Crazy With Her Kid In The Car, Gets Arrested. 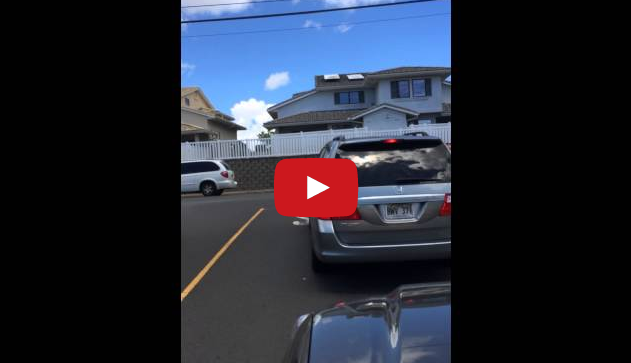 Kimberly Ong, 45, was caught on camera ‘losing it’ while driving on the streets of Hawaii. The video, which was recorded by Ryan Arakaki, shows Ong driving erratically, honking, swerving in and out of her lane, and shouting obscenities right in front of her young son who was in the front passenger seat. She then pulls in front of Arakaki, who was recording her, and gets out of her vehicle. As she approaches Arakaki, she is screaming, calling him names, and slaps his phone out of his hand all while leaving her young son unattended in the car. Ong turned herself in after this video went viral on the Internet. She was arrested on suspicion of unauthorized entry of a motor vehicle, a class C felony. A Man Found 2 Bear Cubs Next To Their Dead Mom, What followed Was Amazing!